Watch the photo slideshow / video of the 2006 Libation by Proto-Demos tes Hagnes Persephones. 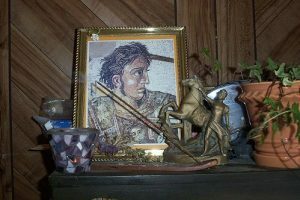 Shrine to Alexander the Great. By Gitana.